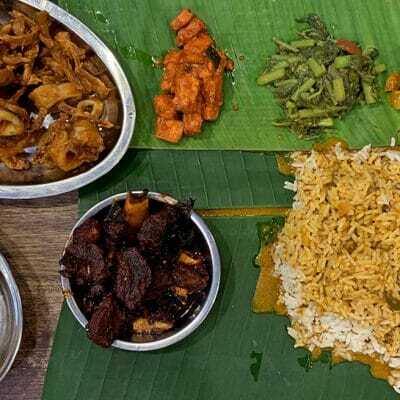 I used to be impartial towards nasi kandar, a meal of steamed rice with curries and side dishes that originated from Penang. That was more than 10 years ago when my dad did the mixing of curries. I love my old man, but he isn’t the best curry mixer I know, much to his dismay. He likes mild curries while I like my curries thick and robust. But there was one person who made it even better – Ee. He once mixed a plate of nasi kandar for me and it was wicked stuff. Thick curries in generous portions on steamed white rice, with squid, meat and half a salted egg for that burst of flavour. And I learnt how to mix my nasi kandar the way I like it to be. The keyword = Kuah banjir pekat. That means only mix thick curries in your rice and none of that diluted stuff most people with butter tongue go for. 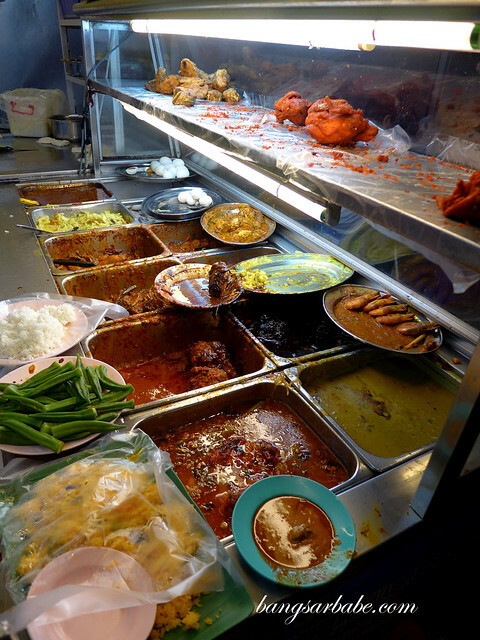 Problem is, not many nasi kandar places allow you to customise your curry selection. I didn’t like how the folks at Line Clear manage their curry distribution. 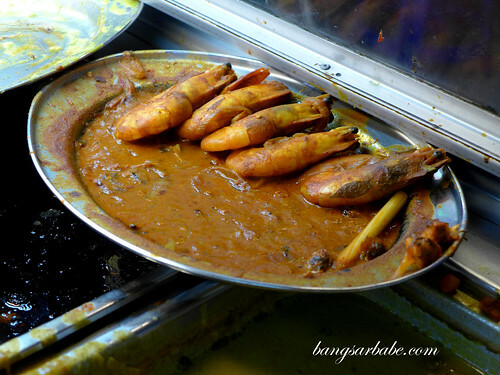 Despite my insistence on just thick curries, the man added his touch of catastrophe – dhal. 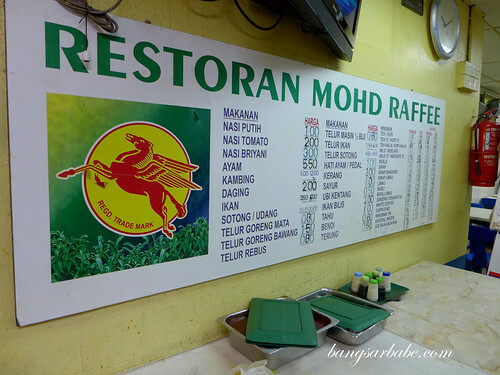 Seriously, no one eats dhal in nasi kandar. And he ruined my masterpiece. 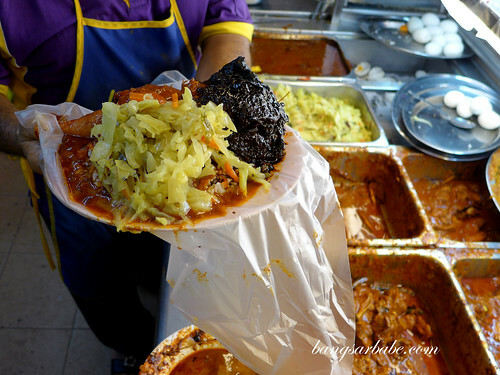 Nasi Kandar with ayam madu, sotong and plenty of cabbage. And a hidden salted egg beneath. A plate of rice with three tender pieces of squid, a piece of ayam madu (honey chicken), half a salted egg and a generous scoop of cabbage cost RM15. This was large enough for two pax and definitely a better experience (and more reasonable) compared to Line Clear. I reckon the latter has become more of a tourist spot these days. 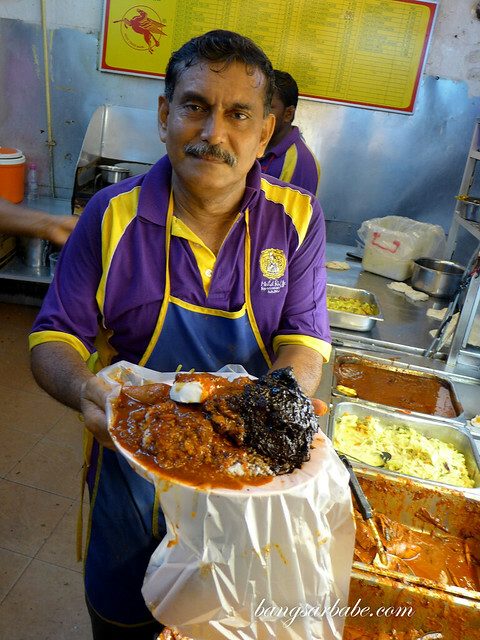 Verdict: Good nasi kandar, if you know how to mix your curries. 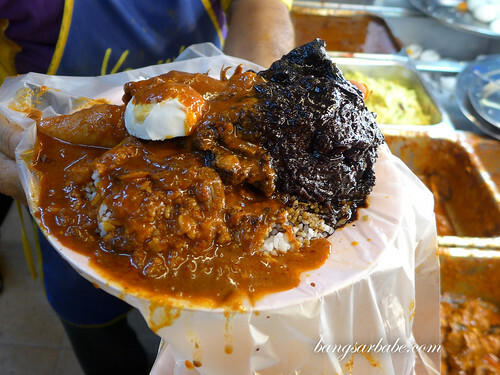 Next time when you’re in Penang..You gotta try this Nasi Kandar Deen in Jelutong. 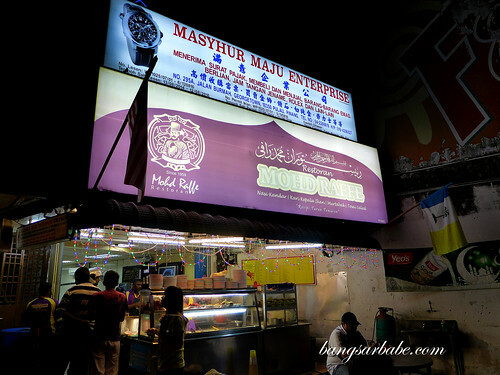 Landmark is few blocks away from the Jelutong Post Office and 7-Eleven. The beef rendang and freshly fried chicken is a must..You gotta try this outlet and give your verdict.. Best is, they’re opened 24hrs.